Following an approach in 1966 by Father Jack Dempsey, the Sports Master at Daramalan College, the ACTRU agreed to a proposal for a new team to join the local Sub-District B Grade competition. Daramalan Rugby Club entered the competition the following year and won the 1967 Sub-District B Grade Grand Final. Daramalan was accorded senior club status and promoted to Third Grade in 1970, to Second Grade in 1971 and to First Grade in 1973. Although Daramalan did not figure in the semi finals in this year, several players from the Club were selected in ACT representative teams. The strength of a growing but young First Grade club was emphasised in 1975 when Daramalan won the club championship for the first time. As well as making the final series in nine out of the ten seasons to 1985, the Daramalan First Grade side played in the Grand Final in every year from 1982 to 1985. In 1983 and 1984 they won the minor premiership. However Daramalan had to wait until the 1984 season for its first Grand Final win in First Grade. In 1987 Daramalan was runner-up in all four Grades of the senior competition. First Grade played in the Grand Finals in 1988, 1990 and 1995. The name Daramalan was derived from the oldest and most select club in the Canberra district’s history. An anthropologist at the ANU told the club founders that a tribe of Aborigines who called themselves “Daramalan” roamed these parts in ancient times. To the Aborigines the name meant ‘Men of the Eagle’, their totem being the wedge-tail eagle, as on the Club Badge. The traditional meaning of the name is ‘Pride of Creation, Chosen Race’, or spiritually, ‘Sons of God’. The Daramalan Rugby Club was the brainchild of Father ‘Jack’ Dempsey who was then Sports Master of Daramalan College at Dickson. His original intention was to form a rugby and general sporting club which could take advantage of feeder groups of young sportsmen coming out of Daramalan College and which would also allow ex-students to maintain their sporting and social contacts after they left school. By 1966, Daramalan College had classes going up to Year 10 and Father Dempsey wanted to ensure that his proposed rugby and sporting club was in full operation by the time Year 12 students were ready to graduate at the end of 1968. However, he recognised that it would be important to the future of the club for its beginnings to be both sound and competitive. A strong source of potential players which was immediately available was the student body of the Sacred Heart Father’s Monastery on the Federal Highway in Watson. Unfortunately, although some of the students had played rugby before, few of them had any real experience of grade or nonschool sport. Father Dempsey had already approached the ACT Rugby Union which had indicated that it would give favourable consideration to an application for a new team to join the ACTRU Sub-District B Grade competition. It was to be a clear condition of the Union’s acceptance, though, that any new team admitted to the competition had to be supported by a club administration and had to prove to the Union that it could remain competitively viable. In order to fulfill the Union’s condition Father Dempsey needed to recruit players and officials from outside the Monastery ranks. Late in 1966 he contacted Frank Hege~Jnr who had been playing age and grade football for Easts and outlined his proposal. Frank Hegerty Jnr gathered a small group of former schoolboy and grade players from the Downer area as well as some other friends and the first meeting of what was to become the Daramalan Rugby Club was chaired by Father Dempsey in Daramalan College in November 1966. The late Jim McGrath agreed to coach the new team if ACTRU approval was granted and brought with him his sons Paul and Bob. At that early stage the Club’s membership consisted of Father Dempsey as patron, Frank Hegerty Jnr, Michael Lynch, Chris Heaney, Miguel Gallagher, Bob, Paul and Jim McGrath and an unspecified number of students from the Monastery. A Committee was formed from the players but it soon became apparent that the mysteries of club administration, fund-raising, dealing with the ACTRU and the myriad other details associated with the creation and management of a new fobtball club were beyond their experience. A group of more experienced administrators came to the aid of the players and, together with the players, formed a new committee. This latter group included Frank Hegerty senior, Dennis O’Shea and others. Their original intention was to share the load with the players until the club was established. However, due to the rapid success of the club and the natural inclination of the younger members to concentrate on their football, the “Older generation” agreed to stay on. Since then the Daramalan Rugby Club Committees have consisted of a mixture of the younger and older members. It was at this early stage that the club’s name was determined not to link it directly with the College but rather as recognition of the help and support provided by the College in the formative period in line with Father Dempsey’s original concept of an existing club which would encourage ex-Daramalan students to maintain sporting and social links. The playing history of the club is a matter of record. From the first competition game in 1967 against RMC Staff, when a good proportion of the Club’s Monastery players were still discussing the rules and strategies as the team ran on to the field, the club enjoyed great success as energetic exponents of coarse rugby. The Monastery bus became a familiar sight at Rugby grounds in Queanbeyan, Yass, Cooma and HMAS Harman as well as ACT District ovals, ready to whisk players away from the temptations of post-game drinks. On the way to winning the Sub-District B Grade competition in 1967 with a 14 to 8 win over Forestry in the Grand Final the Club attracted a lot more players from the staff of Daramalan and from the area around Dickson. The Club’s corner in the Hotel Dickson grew steadily larger and selectors had to be appointed to ponder the ever increasing football talent. The names of the players in 1967 will jog a few memories. The forwards were Roger Morris, Peter Slocum, John Ryan, Miguel Gallagher, Bob McGrath, Brian Galligan, Ray O’Neill, Ray Tolley, Frank Hegerty Jnr Damian Sloane and David Manning. The backs John Maher, Peter Gilchrist, John Jennings ec), Bruce Mortensen, Brian Reis, Michael Yates, Peter Dowling and Chris Heaney. In 1968 the now firmly-established Sub-District club fielded teams successfully in both A and B Grades. In the A Grade they performed very well going down to Harman in the semi-final. The A.C.T.R.U. Fourth Grade competition was formed in 1969 and Daramalan ran out Minor Premiers only to lose the Grand Final. The name Daramalan had now become well known in football circles. Rugby League officials showed considerable interest in the club at the end of the 1969 Season. The club’s future was discussed at a meeting attended by numerous personalities of the Union and League world. 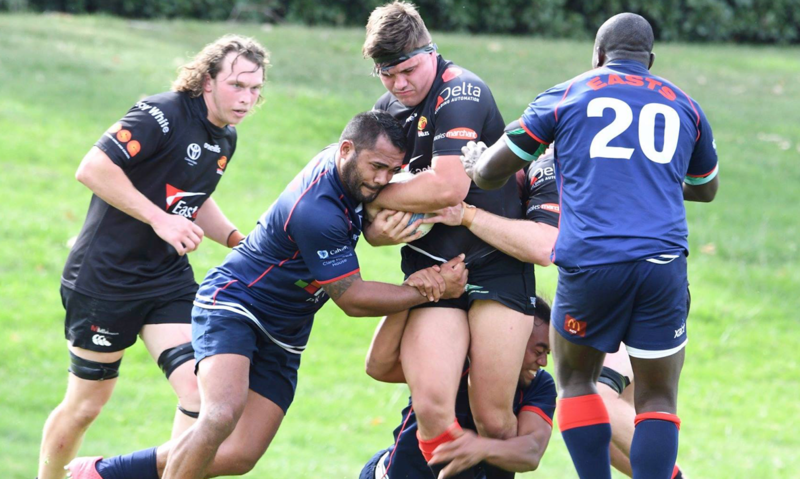 Logistic problems had prevented the ACT Rugby Union executive granting Daramalan the Senior Club status it now deserved following three seasons of promotion and remarkable success on the Rugby Field. 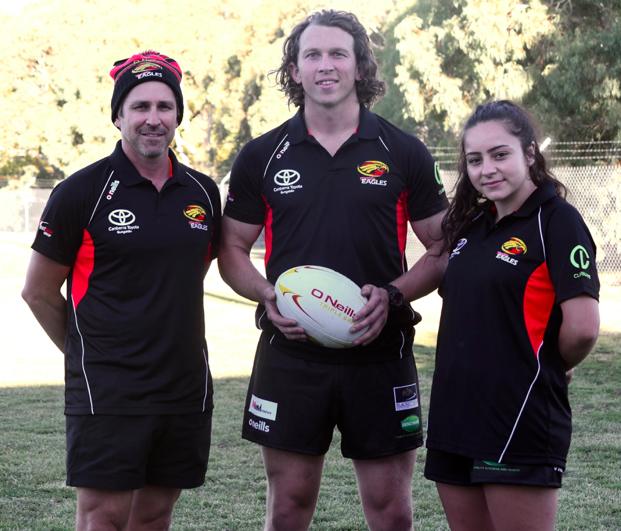 The Rugby League officialdom realised the great potential of the club and offered immediate full Molonglo Shield Status. The decision on whether to accept the generous League offer or to remain with Union and trust Mr. John Hunter, the ACTRU President, who promised further status consideration, was left in the hands of the players. The players voted in favour of Union and Newspapers carried the banner head-lines “Rugby boys refuse $105,000 from League”. However, the undefeated College First XV of ’69 took the red and black jumpers of North Canberra Rugby League and won the Molonglo Shield. John Hunter was as good as his word and in 1970 the ACTRU Executive promoted Daramalan to Third Grade and granted Senior Club status. Daramalan returned the compliment by providing crowds of spectators at all matches which amazed even Rugby Treasurer Rex Clarke and warranted special mention in his annual report. But the most memorable moment in the club’s history was Grand Final day 1970. Anyone who was at Manuka Oval that day will never forget the last 90 seconds of that game. A Daramalan ex-student playing for Royals scored a try which gave Royals the lead and with only 90 seconds to go Daramalan winger John Byrne took the ball on his own line. The crowd rose to their feet as John weaved through the Royals defenders to put the ball down under the post at the other end of the field. John Ryan converted what the Newspapers claimed to be the “try of the century” to give Daramalan victory and an unforgettable memory. Promotion to second grade followed in 1971 where the club performed creditably that year and again in 1972. The chance to consolidate was lost when logistics again caught up with Daramalan and the club was “invited” to field in First Grade. Frank Hegerty Snr. and his executive had many sleepless nights before deciding to accept the invitation. The club showed in 1973 that the decision was the correct one. Although Daramalan did not figure in the semi finals, we showed that we had players capable of playing first grade with Jon Hardy, Michael Dainer and Peter McGrath picked in ACT Representative teams. The strength of a growing but young first grade club was emphasized in 1975 when Daramalan won the club championship for the first time. For the record, the first grade side in 1973 was Forwards: Robert McGrath, Brendan McGee, Michael Dainer, Brian Beasley, Eddie Zeiman Graham Johnson, Anthony Nott, Jon Hardy, Backs: Norm Baker, Peter McGrath, Dennis McGrath, David Lange, Peter Martin, J.J.Willoughby-Thomas, Damien Quirk. Coach: John Dowse Manager: Peter Fox. By 1986 Daramalan had won the Club Championship 5 times, in 1975, 1978, 1981, 1982 and 1983 being runner up on a number of occasions including 1984 and 1985. First Grade had played 9 of the last 10 seasons in the final semies. First Grade played in the Grand Final every year from 1982 to 1986 with 1984 being our first Grand Final win in first grade followed up by a win in 1986. Reserve Grade won the Grand Final in 1981, 1983, 1984 and 1985; Third Grade in 1980, 1982 and 1983 and Fourth Grade in 1978. The years 1976 to 1978 were to be the turning point in the development of Daramalan both on and off the field. 1976 to 1977 were years of consolidation on the playing field. However, the most significant development in 1977 was the decision taken to build the club’s premises in Rosevear place, Dickson â€“ the brainchild of Frank Hegerty Snr who was President of the Rugby Club from 1967 to 1979. Daramalan has been blessed with a strong and stable administration over the years. This is borne out by the fact that there had only been three Presidents of the Rugby Club, Frank Hegerty Snr, Denis O’Shea and Michael Kelly from 1967 to 1986. In fact many of the Rugby Club Committee of 1977, when the decision was made to build the clubs premises, were still involved in 1986 in coaching, administration of the Rugby Club and/on the Board of Directors of the Daramalan Rugby & Social Clubs Inc. The Rugby Club Committee of 1977 included Frank Hegerty, Denis O’Shea, Michael Kelly, Mac Nichols, Paul McGrath, Max Coombe, Graham Johnson, Charlie Giles, Damien Quirk, John Diamond, Peter Slocum and Simon Swan. 1978 was a year to be remembered in the history of the club. In the words of President Frank Hegerty Snr from his 1978 Annual Report â€œ1978 was the most successful season both on and off fieldâ€. August 1978 saw the opening of the Daramalan Rugby & Social Club Inc., a testament to the 12 months hard work of the Rugby Club Committee, players & Supporters and the Committee of the Daramalan Rugby & Social Club. In particular it was a fulfilment of the dream of Frank Hegerty Snr who was the driving force behind the building of the club and without whom there would not have been a club opened in 1978. On the playing field, the players in 1978 proved that Daramalan was now a force to be reckoned with in all grades. It was during 1976 to 1978 that particular attention was paid to nurturing and developing the Daramalan juniors and age grade sides. Credit must go to many people in particular Charlie Giles for this work which has been continued on into 1986 and which has been crucial to Daramalan becoming such a dominant force in ACT Rugby. In 1978 Daramalan won the Club Championship with Reserve and 4th grades taking out minor premierships for first place in there respective grades. First Grade came second and Third Grade third. Reserves, third and fourth grades all made the Grand Finals, with Fourth Grade gaining a historic Grand Final win defeating Queanbeyan 6-0 to celebrate the opening of the club in true rugby tradition. That team included many familiar names. The team was backs; Gavin Bennett, Denis Collins, Mark McMahon, Mark Darlington, Vic Susinetti, David Walsh, Wayne Gregory. Forwards; Graham Johnson, John Diamond (Captain/Coach) Phil Griffin, Garin Day, Bernie Carnevale, Leo Stinson, Steve Blake and Charlie Giles. 1978 also saw ACT defeat Wales with three of Daramalan’s favourite sons playing in that side – Peter O’Neill, Dominic O’Connell and Michael Jamieson. Who will ever forget Peter O’Neill’s try and the five penalties and conversion by Dom O’Connell. Since 1978, Daramalan has maintained its development and growth as a major force in ACT rugby with appearances in finals series and grand finals a far more common occurrence than was the case before 1978. Graham Johnson from the Fourth Grade 1978 Grand Final winning side was to be Captain/Coach of the Third Grade Grand Final winning side in 1980. Third Grade won the Premiership and Grand Final in 1982 and won the Grand Final again the following year in 1983. Reserve Grade won the Premiership and Grand Final in 1981, won the Premiership again in 1982 but lost the Grand Final, then won the Grand Final three years in a row 1983 to 1985 a testament to the strength of the Club. However, a club is measured by the performance of its First Grade side. As well as making the finals series in 9 out of the 10 seasons to 1985, the Daramalan First Grade side has played in the Grand Final in every year from 1982 to 1985. In 1983 and 1984 they won the Club competition for Premierships. However, Daramalan had to wait until the 1984 season for its first Grand Final win in First Grade. It was a historic day to be remembered by all who were there. When the final whistle went with a comprehensive Daramalan victory over Royals 23 to 11, many club stalwarts who had waited years for this day could be seen with tears of joy running down their faces. Suffice to say the celebrations at the clubs carried on into Sunday and during the succeeding weeks. The team that played in this landmark victory under coach Stephen Howarth was: Backs; Jim Gordon, Craig Morton, Greg Potts/Ian Freebody, Brian Connell, Steve Bryant, Jeff Rumble Tim Hutchison Forwards; Mathew Hutchison, Peter O’Neill, Tim Templeman, Paul Foster, Mark Driscoll, Chris Dainer, Patrick McKeough and Captain Leigh Donnellan. The picture of Leigh Donnellan and Peter O’Neill in the Canberra Times holding the cup was most appropriate as no two players had strived harder on the years to win, our first Grand Final in First Grade having been the backbone of the Red & Black first grade pack since 1976. Reserve Grade also put in a fine Grand Final performance in 1984 to defeat Royals 14-3. There is a special place in the club’s memory for the 1984 team which defeated Royals 22 – 11 in the grand final and held the premiership trophy aloft for the first time. Tries were scored by Greg Potts, Matt Hutchison and Peter O’Neill. Jim Gordon slotting two conversions, a penalty goal and a field goal. This was the culmination of the efforts put in by a lot of people over a long period of time. As noted in Michael Foster’s write up in the Canberra Times the following day, ‘It was a noble game of rugby as had been expected. Daramalan, deprived of the first grade premiership which it has expected for many years, celebrated uninhibitedly its win in both reserve and first grade ( Daramalan reserve grade defeated Royals 14 – 3 with tries to Barrie Gibson, Robert Keogh and Phil Johnstone and a conversion to John Henry). Daramalan summoned all the experience of two losing grand finals (David Campese engineered losses to Queanbeyan in 1982 and 1983), recognised the need to bleed and threw themselves bodily into the first grade game from the opening whistle”. In 1985 all grades played in the finals series, with first, reserve and fourth grade playing in the Grand Finals for a Reserve Grade win over Royals 9-6. Daramalan again won the First Grade premiership in 1986. The annual report from President Michael Kelly read “DARAMALAN JUST TOO TOUGH” was the one headline that really grabbed my imagination on Sunday, 28 September, 1986. This, to me, summed up the commitment of the sixteen players who took the field to win the First Grade Grand Final for 1986. Daramalan won 13 – 9 with Terry Fox and Geoff Howes scored a try each while Jim Gordon kicked a penalty goal and one conversion. In other grades, Royals, Daramalan won third grade beating Royals 19 – 3, while in reserve grade, Royals defeated Daramalan 21 – 10. It was a great season for the Club with all Grades performing extremely well throughout the year and the players showing that we are an outstanding Rugby Club. Daramalan could look forward with confidence to retaining its position as a dominant force in ACT rugby. 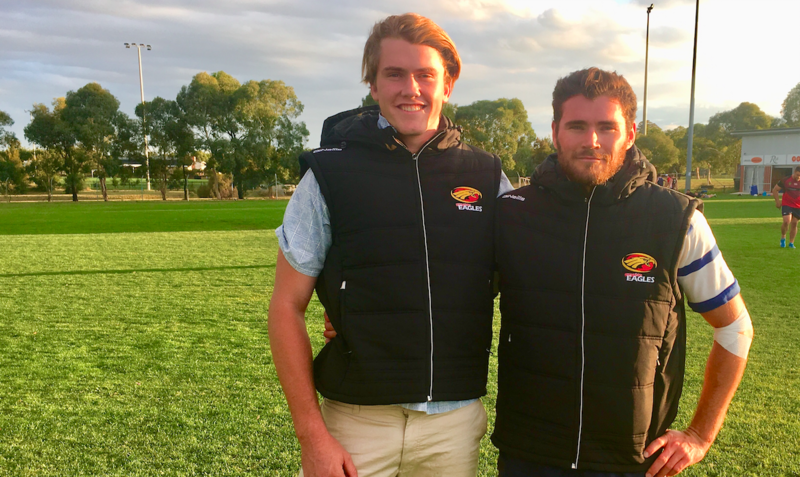 Young players corning through the grades in were able to learn from the wealth of experience from long established players, for example, in first and reserve grades such as Tony Nott, Phil Griffin, Michael Jamieson, Gary Walsh, Phil Johnstone as well as Leigh Donnellan and Peter O’Neill. Along with a player of the ability and experience of Craig Morton and the large number of U 21 representatives in the Club the future looks assured and bright for a relatively young club which has come a long way from 1967 and those early formative years. By 1986 Daramalan had one of the strongest clubs in Canberra with a tradition built up over the last 10 years of hard driving forward power and fleet of foot backs to set the game a light. The black and reds were firmly entrenched as a major force in ACT rugby. Players accepted as a matter of course the magnificent club facilities at the Daramalan Rugby & Social Club in Rosevear Place, Dickson. The club had come a long way from the early years and the club’s corner in the Dickson Hotel. the Gungahlin Eagles raised money for the Cancer Council – our charity of the year in 2016.